Imagine a brewery with all the class of a winery, the menu of a 5-star Italian restaurant, the décor of a rustic log cabin and the ambience of a jazz bar. Sounds too good to be true right? Wrong. 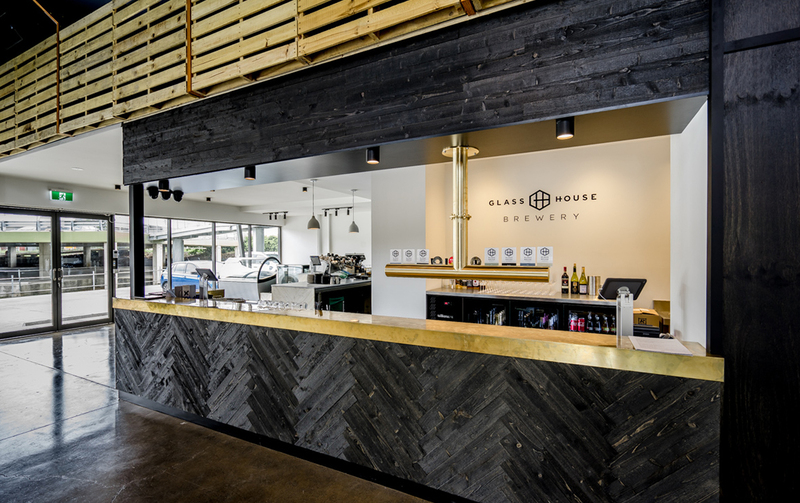 Say hello to the Coast’s newest (and fanciest) brewery, The Glass House Brewery. Located in the Kunara Precinct in Forest Glen, the brewery is the passion project of friends Simon Michelangeli and Paul Sanders, who came up with the idea four years ago over a beer (how fitting). Since then, expert brewer Paul and keen businessman Simon have worked tirelessly to bring us one of the best breweries on the Coast. The venue, which used to be nothing more than a shed, is the perfect setting for an ambient brewery. 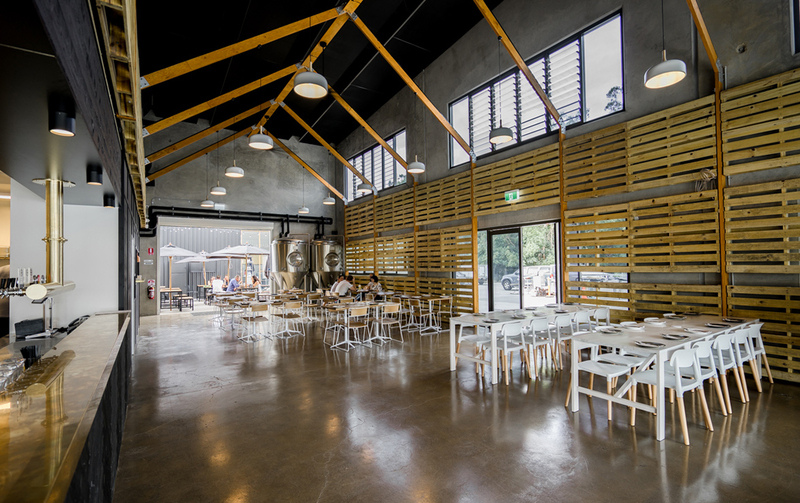 With large wooden beams and pallets that run the length of the building, a huge dining hall, beer garden, and function room, The Glass House Brewery is not short on style. But the real magic happens in their brewhouse installation, where they are currently brewing over five different kinds of beer. There’s a pale ale, black lager and mid strength session ale currently on tap, and a red IPA and organic Saison that will soon be available once it has finished brewing. 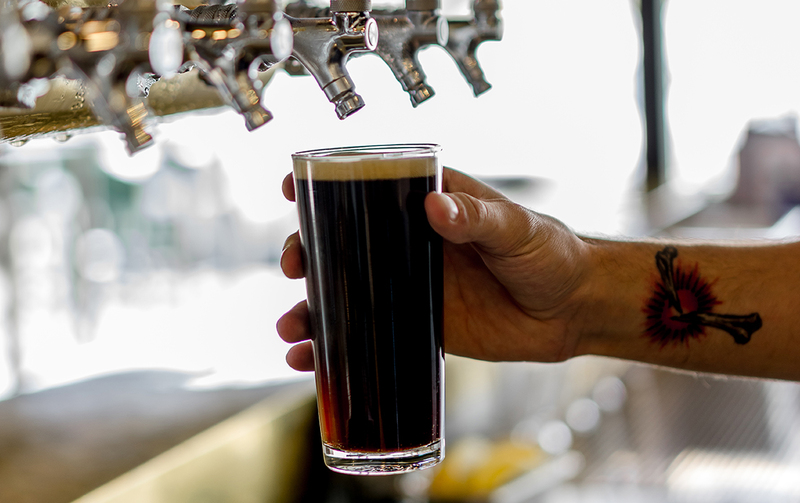 There’s also a bunch of local (and not so local) beers on tap, so whatever it is you’re after, they’re sure to be able to pour you a pint. Their kegs will also be available in local bars and pubs in the near future, so you’ll be seeing (and drinking) a lot more of them in the coming months. Okay, so beer is great, but we know what you’re thinking—what about the food? Well, with a team of experienced Italian chefs in the kitchen, you can expect nothing short of drool-worthy eats. The appetizer menu (which has been designed to pair perfectly with a beer), features some noteworthy dishes, like arancini risotto balls with mushroom and parmesan, zucchini crisps and golden pizza puffs. And then, because there really is no better partnership than pizza and beer, the kind folks at Glass House Brewery have put together a delicious pizza menu. Think buffalo and prosciutto, salmon focaccia, roasted pumpkin with pine nuts and goat’s cheese, truffle and Italian sausage, and the ‘Pizza 4 Sam’, which is like a meat-lovers, only 1000 times better. All of the pizzas are available on gluten free bases, with plenty of vegetarian and vegan options as well. There’s also a range of delicious pastas available, including house made potato gnocchi with salted ricotta and house made egg spaghetti with pork guanciale. And if all that wasn’t enough, there’s even an extensive wine menu filled with Italian vinoa, just in case beer isn’t your thing. So now the only question on your mind is ‘when can I go’? They’re currently open from Wednesday to Sunday from 11am to 10pm, so you can head on in and grab yourself a pizza and beer whenever you like. And, if you’re looking for a knockout venue to host a last-minute Christmas party, they are currently taking bookings, so get in quick. Looking for more things to do on the Coast? Check out all the best markets happening this month.